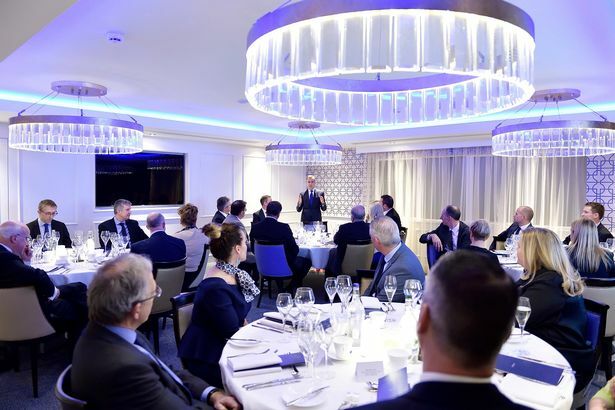 Everton's charity work was hailed by the Governor of the Bank of England at a private dinner at Goodison Park on Wednesday evening. 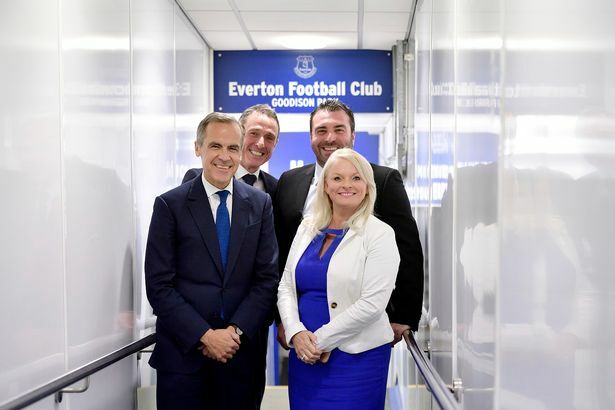 Lifelong Everton fan Mark Carney attended the event alongside Blues caretaker boss David Unsworth , CEO Robert Elstone and club legend Graeme Sharp. Everton in the Community held their second annual Goodison Park Sleepout last week to help raise awareness and funds for the homelessness problem in the city - an event that attracted over 200 participants. And Bank of England chief Mr Carney was full of praise for EitC for their work across the city of Liverpool. "By using the power of sport to motivate, educate and inspire people, Everton in the Community brings hope and improves the prospects of those most in need in the local community," he said. "Such work is literally vital for many recipients and is a testament to a global club's commitment to its most local of roots." The Blues fan, who joined the ambassadorial arm of Everton in the Community three years ago, also backed the Bramley Moore Stadium project earlier this week. "The stadium would be a very welcome impetus to the local economy and I look forward to it moving forward," he told the ECHO . Caretaker boss Unsworth was one of the participants who slept rough on the Goodison Park pitch last Friday and the club's charity work is something he cares deeply about.